Those who love Imagine Dragons know that front man Dan Reynolds is a force to be reckoned with on stage. But he’s also a fierce gamer with an important cause to support: LBGTQ+ youth and suicide awareness. 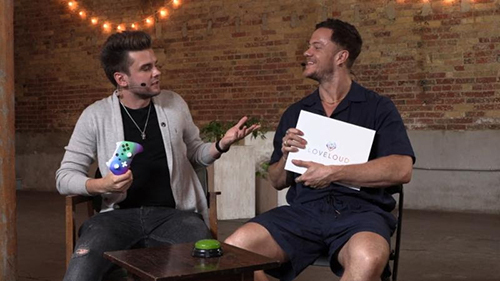 This past Friday, Xbox hosted an Xbox Game Pass Challenge to support LOVELOUD, the foundation that Dan founded in 2017 to help ignite the relevant and vital conversation of what it means to unconditionally love, understand, accept, and support LGBTQ+ youth. LOVELOUD is the catalyst for bringing communities together to start the conversation and celebrate individuality. In the Xbox Game Pass Challenge, Dan had 50 minutes to complete 10 challenges in 10 games throughout the Xbox Game Pass catalogue. For each challenge completed, he’d rack up $10k for LOVELOUD. With @BennyCentral from Xbox On in his corner cheering him on, Dan was put to the test with challenges from games such as “Halo 5: Guardians” and “Rocket League”, among others. He tackled each virtual test head-on, requiring little more than basic guidance on what each button does, where to go in the game, and how to complete the challenge. By the end of the competition, Dan bested 10 out of 10 challenges and racked up an impressive $100,000 for the LOVELOUD Foundation. 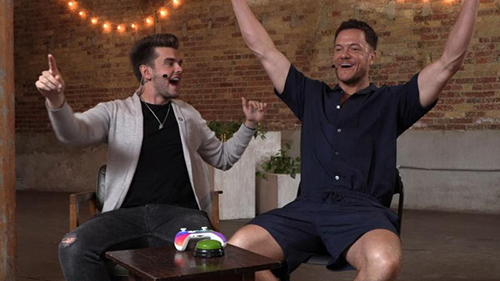 As an added bonus, Dan also unseated Usain Bolt as the reigning Xbox Game Pass challenge champion who completed 9 out of 10 challenges in April. 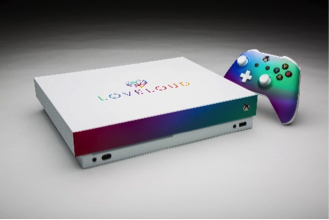 Additionally, Benny and Dan showed off a custom LOVELOUD Xbox One X console and controller to mark the occasion and further the support of this incredible foundation. For more information about the LOVELOUD Foundation, visit their website at www.LOVELOUDFest.com.